Jackson Pollock. Catalogue Raisonne 4 volumes plus supplement. by Francis Valentine O'Conner and Eugene Victor Thaw. 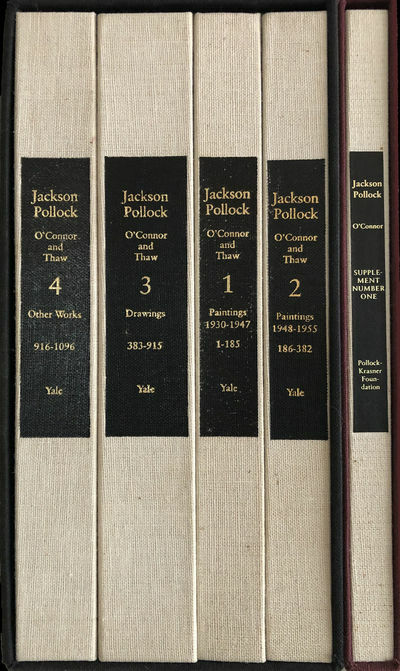 Jackson Pollock: A Catalogue Raisonne of Paintings, Drawings, and Other Works. Yale University Press, New Haven and London. 1978. Francis Valentine O'Conner and Eugene Victor Thaw.